Hartlepool United first-team coach John Hughes has said a team meeting helped focus the squad before Saturday's 2-1 win against Notts County. 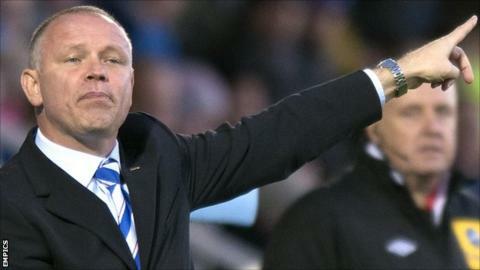 The victory closed the gap on safety in League One to eight points and ensured back-to-back wins for Pools. "We had a big meeting the last week and got a few things off our chests," Hughes told BBC Tees. "We agreed the best team doesn't always win the match, so we have to dig in and we did that in the last 25 minutes." Pools still have work to do to save their status in the third tier, although only Colchester of the bottom eight teams have recorded as many victories in the last five games. The brace of wins, the first of which came against fellow strugglers Portsmouth, have given the Victoria Park side belief at a crucial time. "Where we are fighting for our lives, we've got 17 cup finals to play," Hughes said. "Let's not get carried away, but we've got to enjoy this, enjoy that feeling of winning and coming into training with a spring in our step."